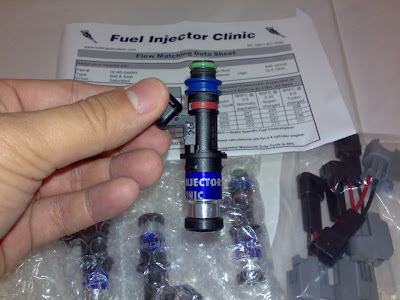 Or better known as Fuel Injector Clinic, this company from US produces one of the best aftermarket injectors available. 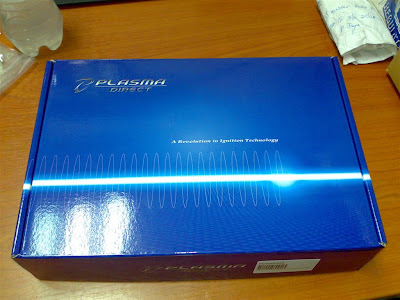 The injectors cleared customs yesterday morning and arrived at my doorstep this afternoon while I was away in the office. 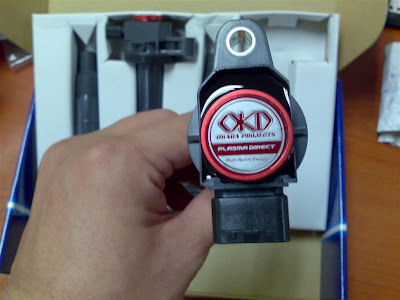 These are ball & seat type saturated high impedance injectors and they are rated to flow 445cc/min. 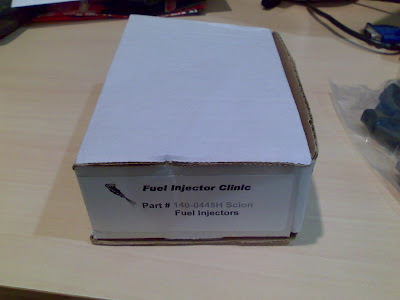 They require no modifications and are a direct fit to our 1NZ-FE engines, and FIC was kind enough to throw in a set of plug & play adapters free of charge as they were late in shipping the injectors. Together with the forged internals when they arrive, we should able to make some serious power when we crank up the boost. 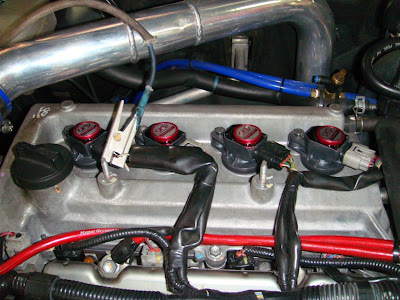 A more refined atomized spraying pattern allows a cleaner burn resulting in a crisper throttle response and increased fuel efficiency while still being able to produce serious horsepower. 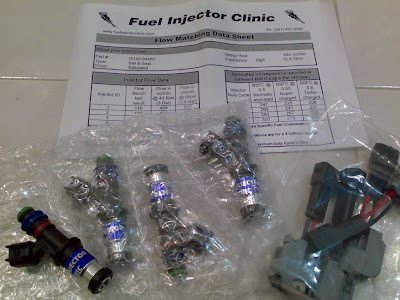 The main reason why I went with FIC is due to they have one of the finest spraying pattern compared to other aftermarket injectors. 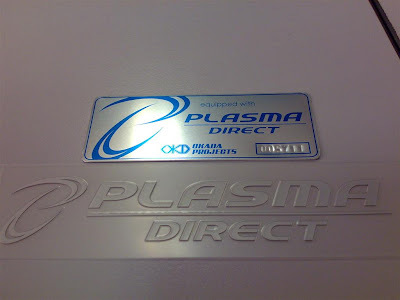 The pictures below were taken from FIC's website, whereby it shows to same high flowing injectors with the second one customized to have a much finer spraying pattern. 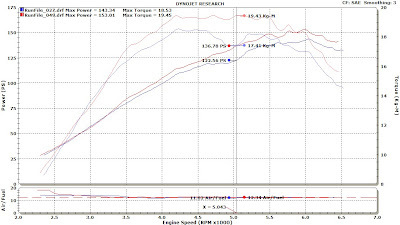 During my posting of the Turbo vs NOS write up, the NOS kit that was available for sale in GT Auto was picked up by a friend of mine and the car has been finally dyno tuned. 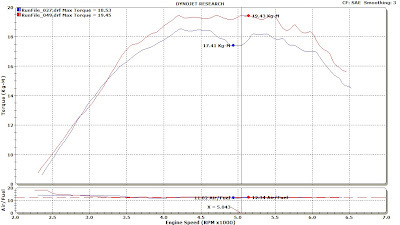 The car is now pushing out 144.38 PS and 20.95 kg-m of torque to the wheels from the previous 118.61 PS and 15.24 kg-m. 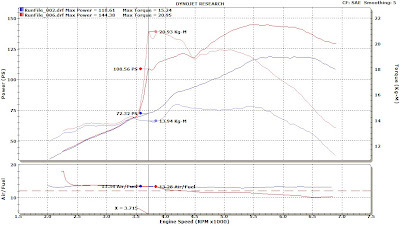 The dyno chart speaks for itself, as you can see the gains are very significant at the point where the nitrous engages. 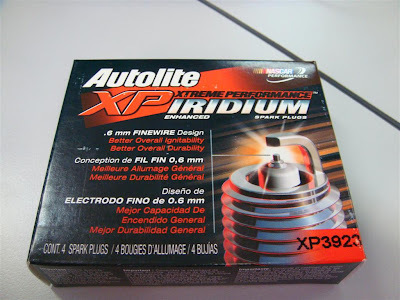 It takes less than 200 rpm for the car to gain 36 PS and 7 kg-m of torque at the wheels. I was given the opportunity to test drive the car and when the nitrous starts spraying the car pulls crazily like a raped ape. This car is running E-Manage blue piggyback without the ignition harness. 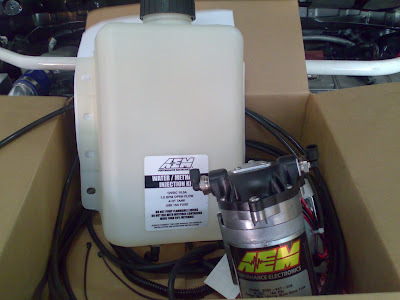 The owner is now planning to upgrade to Haltech Platinum Interceptor so the ignition timing can be altered to extract more power. 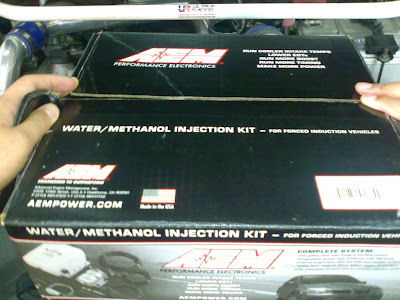 The owner is also considering fitting an AEM water/methanol injection kit very soon and with the injection kit the gains will be even higher. 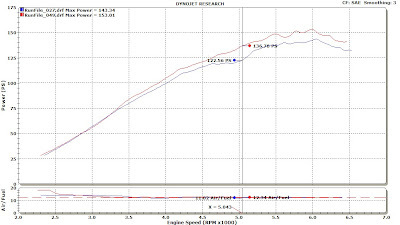 (Update 26/06): The dyno chart can be found here. Dropped by GT Auto this morning to collect the Okada Projects Plasma Direct coils that I ordered 2 weeks ago from Okada Projects. 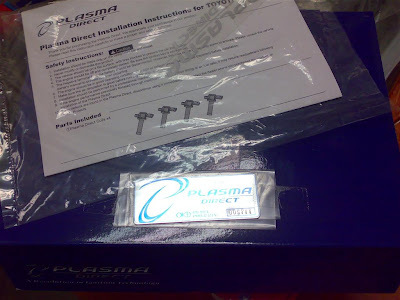 Was planning to have them installed together with the forged internals when they arrive but since tuner said its alright as they are direct plug and play so we went ahead with it.